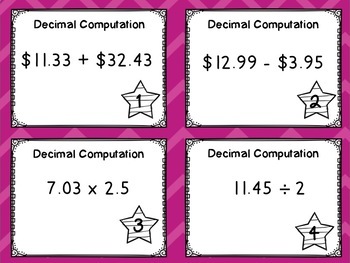 Students will add, subtract, multiply, and divide using decimals. The set includes two separate stacks of task cards. 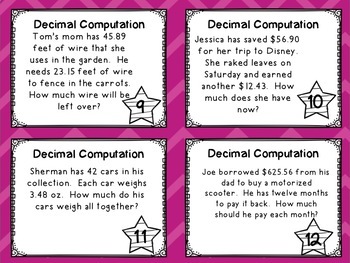 One set is contains equations, while the second set is word problems. 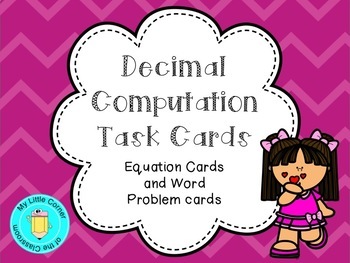 Use them in a small group, individually, or as a bump game.